In the midst of political unrest in Ukraine, Vadym Poberezhnyy wanted to live in a place with a stable democracy so in 2010 he applied for a visa to Canada and was granted one. He arrived in Montreal knowing English but not French. Determined to succeed, he mastered both languages and enrolled himself in a nursing program at Collège Maisonneuve. After completing his DEC, he landed a job at the Montreal Children’s Hospital as an OR nurse and has been part of the team for over three years. 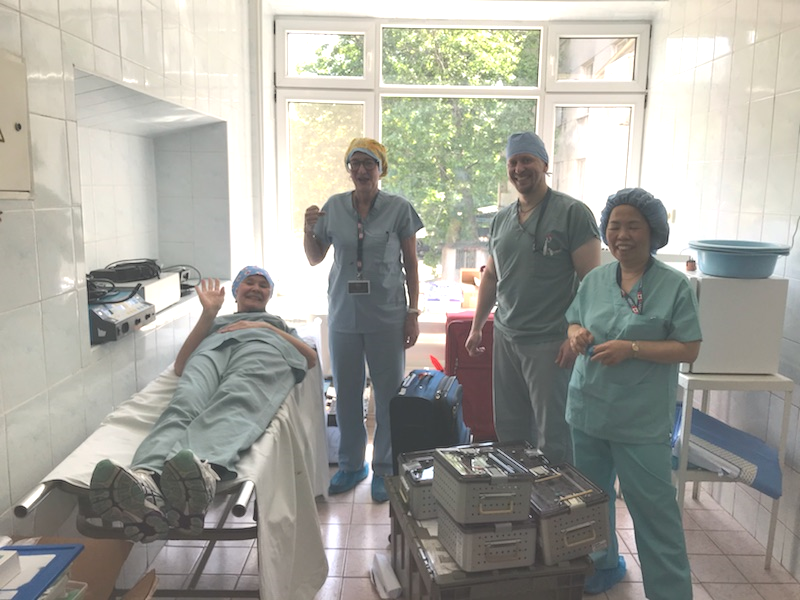 Vadym returned to Ukraine in May for the second consecutive year to be part of the Canadian medical team participating in the Canada Ukraine Surgery Mission organized by the Canada Ukraine Foundation. “I want to help people, this is the very nature of my profession. It just so happens that my country needs help and I am happy to offer it,” he says. 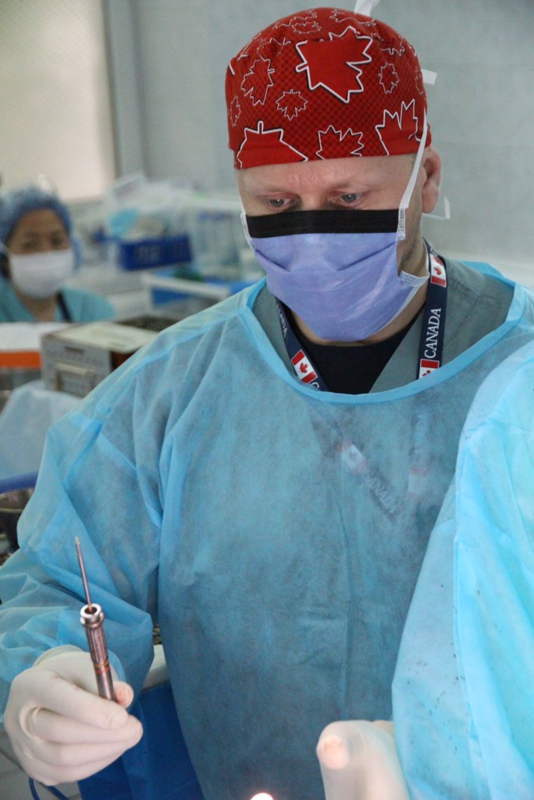 The goal of the mission is not only to perform reconstructive surgery on the hands and faces of Ukrainian civilians and soldiers injured in the war, but also to teach advanced surgical techniques required for such surgeries with the local medical teams. Typical of medical missions, schedules are tight and the days are intense, “Our days started at 8:30 am and typically ended at 9 pm. We performed 45 surgeries in 5 OR days,” explains Vadym. Despite his demanding schedule, Vadym made sure to visit his mom, brother and sister, who are still living in Ukraine. In addition to working in the OR, Vadym is taking courses at Université du Québec en Outaouais with the goal of completing a Bachelor of Science in Nursing.